The 310-54-M3 is designed for exterior installation on either tractors or trailers with a tandem axle air suspension that is controlled by TWO height control valves. 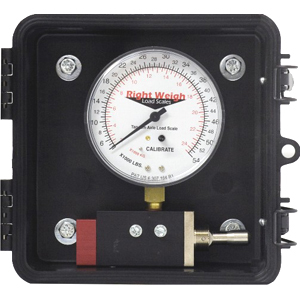 The 310-54-M3 provides reliable on-the-ground axle weight measurement with clear readings displayed on its 3-1/2" gauge. 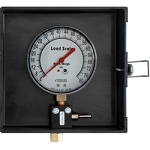 The 310-54-M3 features a manual, Push-Pull bleeder valve to "bleed" air out of the gauge when it's not in use to help ensure the long life of the scale system. 310-54-M3 is built in a	Black Polypropylene Box. 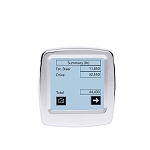 Corresponding Installation Kit: To install this scale, you will need (2) of our 101-SK installation kits.